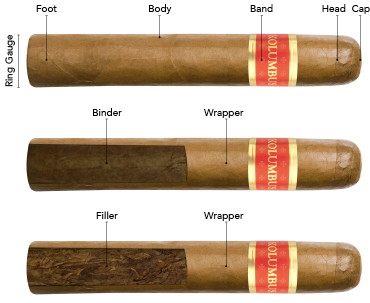 To make the most of the smoking ritual, it is important to understand all the parts that form the cigar. Built from inside out, each separate layer delivers its savory blend, aroma and distinctive notes. 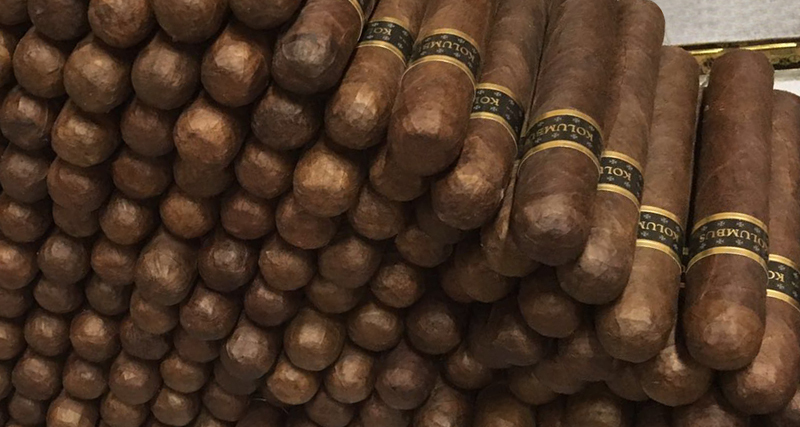 The way all the different parts combine is an artful skill, as they are responsible of delivering the subtleties found in each unique cigar. KOLUMBUS is a premium, handmade cigar which contains five full leaves classified as filler, binder and wrapper. Together they form a sophisticated body, being the ring gauge a key component in incorporating the aroma which provides a delightful tasting. The first three leaves form the filler, which is the cigar’s interior, and is composed by rigorously selected 100% natural tobacco leaves named wrapper, binder and filler. These layers contain the secret blend which forms KOLUMBUS’s unique and cherished personality, a secret carefully preserved in a magic corner located in the island of La Palma. The volado is the leaf that grows at the bottom of the tobacco plant. It has a weak strength and is mainly used for its combustion properties. The seco corresponds to the middle of the plant. Its strength is medium and contributes much to the cigar’s aroma. The ligero comes from the top of plant. Is the strongest and brings most of the flavor. The three layers which form the filler are wrapped up in a fourth leaf called binder, which is a binder leaf that holds the cigar together. The fifth leaf is the wrapper, the outside layer which dresses a cigar as it defines its look and color. A top quality leaf is provides texture and elasticity. The foot is the end of the cigar that you light. It is also where you can clearly see the blend’s composition which forms the filler. If we smell it before igniting we will discover the cigar’s aroma. On the opposite side we find the head, the end that goes in your month after removing the cap.